You are not necessarily what you eat, you are what you absorb. If you don’t digest your food well, then you are not fully absorbing the nutrients from your meal. Plus, poor digestion can lead to some problems, such as: bloating, gas, upset stomach. Of course this applies to anything that you drink as well, especially nutrient dense smoothies. Despite little to chew, I still try to “chew” each sip for several seconds. 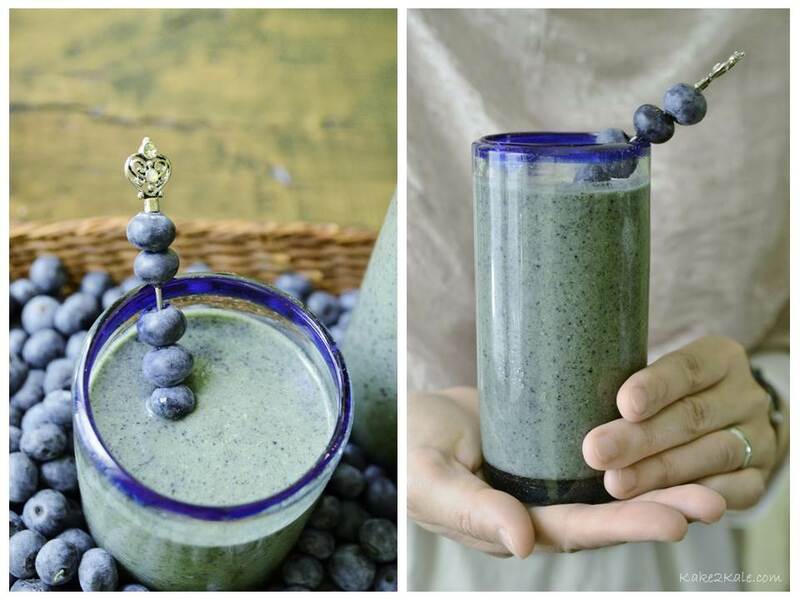 Among my many favourite smoothies, I am particularly fond of the Blueberry Coconut smoothie with kale, chia and banana. 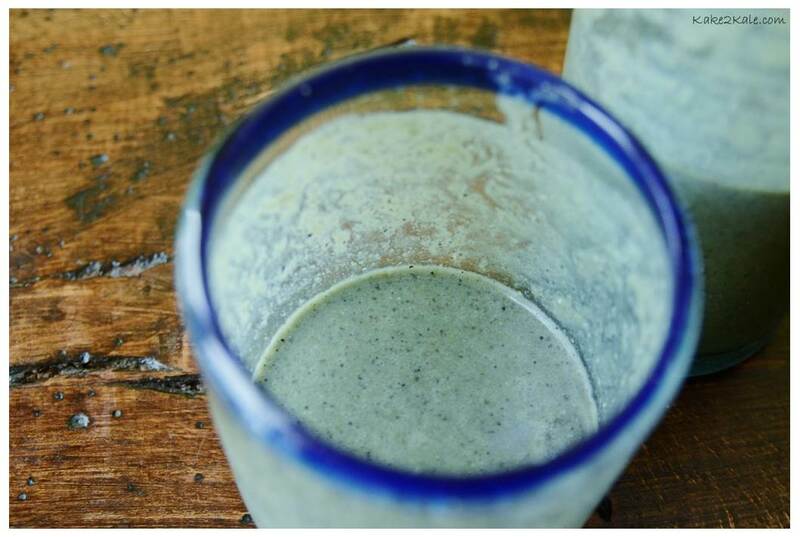 It’s dense, delicious and darn good for you! Happy chewing! 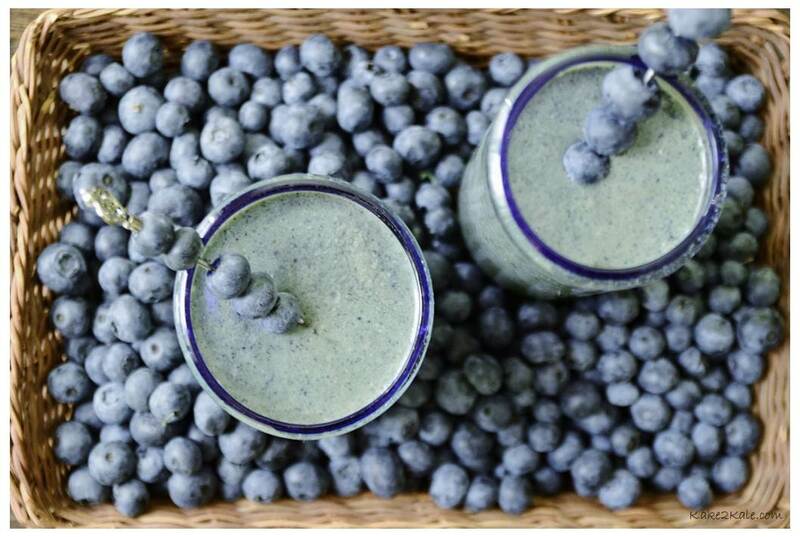 Blueberries – This little berry has the most amounts of antioxidants of any fruit. They contain anthocyanin, vitamin C, B complex, vitamin E, vitamin A, copper (a very effective immune builder and anti-bacterial), selenium, zinc, and iron. Banana – Contains Vitamin C, fibre, and a significant amount of potassium. High potassium intakes are also associated with a reduced risk of stroke, protection against loss of muscle mass, preservation of bone mineral density and reduction in the formation of kidney stones. Coconut –Particularly high in fibre (one Tablespoon of coconut flour has 5 gm of fibre), coconut is antibacterial, antiviral, antifungal, antiparasitic and contains lauric acid which is found in mother’s milk. 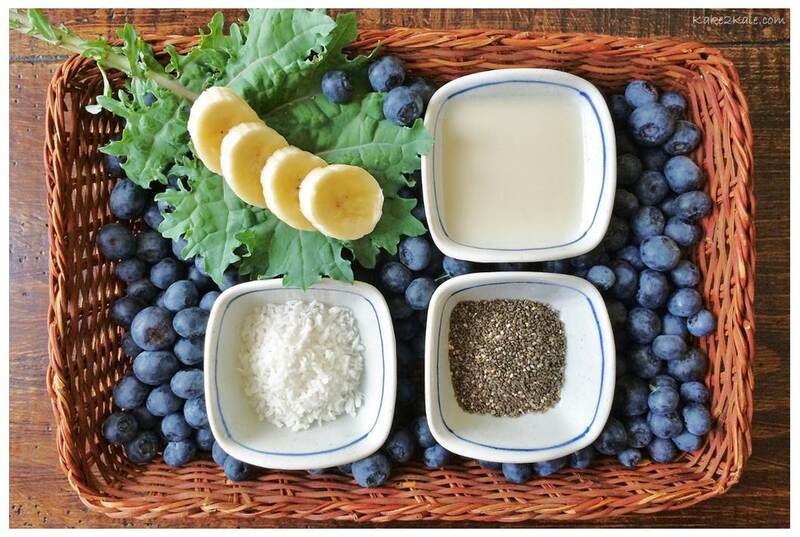 Chia – It is packed with fibre, so it stabilizes blood sugar and helps you to feel full; hence, cutting cravings. It is also high in Omega 3 fatty acids, protein and a wide range of vitamins and minerals ie. calcium and iron. It is a nutrient dense powerhouse. I like to sprinkle some onto my yogurt, and at times noodle soup, to bump up the nutrient content. Kale – High amounts of calcium and vitamin K. Contains Indole-3-carbinol (IC3), which promotes a healthy balance of good estrogen, it also has an anti-tumour effect. IC3 also supports liver detoxification.